Ashram Road, P.B No. 4056, Shreyash Colony, Navrangpura, Ahmedabad - 09. 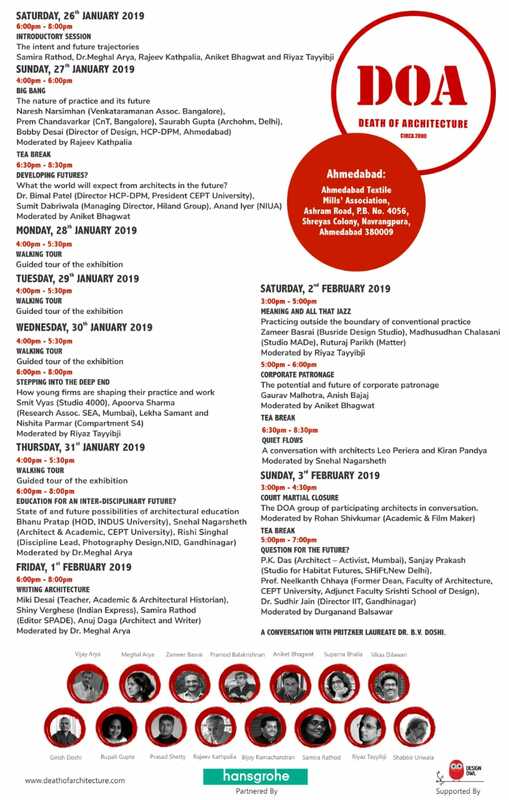 Death Of Architecture is set to open at the Ahmedabad Textile Mills’ Association at Ahmedabad. Do visit for an incisive look at how we are building our cities.